Do you know the difference between an adjective and an adverb? How about a verb and a participle? If you — or your children — need to brush up on your grammar skills quickly, Grammar Pop HD ($1.99, iPhone version also $1.99) can help. With 28 levels, 11 parts of speech, and over 14,000 words, this game is a fun way of learning to categorize different words. Spend a couple hours with Grammar Pop and you’ll be a word-labelling expert in no time! If you’re totally confused by the opening paragraph of this article, you’re not alone. Parts of speech are different types of words — ones you probably already know include nouns, verbs, and adjectives. But there are actually a large number of parts of speech (different experts give different numbers, but Grammar Pop provides 11). So why would you want to learn the parts of speech? Maybe you’re studying for an English exam, or your kids are learning the basics of grammar. Maybe you just want to learn a bit more about the English language, or perhaps English isn’t your first language at all. Whatever the reason, Mignon Fogarty aka Grammar Girl of Quick and Dirty Tips, has released an iPad game that will help you out. I’m a big fan of Grammar Girl, and I recommend subscribing to the newsletter if you’re a writer, student or just want improve your grammar (we recently recommended Grammar Girl in our guide to the best online grammar resources The Best Free Online Grammar Resources The Best Free Online Grammar Resources Read More ). The premise of the game is extremely simple: you’re presented with a sentence, and you need to label each word in the sentence correctly. Points are awarded for each correct labelling, and (unsurprisingly) points are docked if you miscategorize a word. You’re also working against a timer, earning better scores for finishing each round quickly. Additionally, you can collect coins that occasionally appear to increase your score. On the right side of the screen is a list of the parts of speech that you’ve unlocked so far: just tap one of those and then tap a word that’s in that category. If you’re correct, the cloud around the word will pop and you can move onto the next word or part of speech. If you get it wrong, the cloud stays there and you lose a few points. Pro tip: tap one of the parts of speech before the sentence shows up to select it, then tap all of the words that fall into that category. For example, after finishing one sentence, I would tap “noun,” and then select all of the nouns in the next sentence that appeared. By selecting more than one word in rapid succession before switching categories, you can speed up the process and improve your score. At the end of each round, your score is calculated and you’re given a rank—the highest rank is Professor, the next is Tutor, and the lowest is Student. The game doesn’t provide any competitive elements, but it’s nice to know how you did at the end of each round. I consistently scored at the Professor level through the first 15 or 16 levels, and then it started getting a little harder. As you progress through the rounds, more types of speech will become unlocked, with all 11 showing up at level 19. The first few are easy: nouns, verbs, adjectives, articles, and the like. Toward the end, you’ll have to deal with things like conjunctions (which are harder than you might think! ), gerunds, and participles. Is Grammar Pop for You? The Grammar Girl website says that the game is for “word-game lovers, teachers, parents, and students”, though I’d recommend it most second-language learners, young students, and the like; or people who haven’t reviewed them in a very long time. Parents who are helping their kids through grammar homework might benefit, too. Grammar Pop could also be very valuable for teachers. If you’re teaching in an iPad-enabled classroom, or you have a SmartBoard, the game could provide for a more entertaining way to teach kids about the various parts of speech. One drawback worth noting is that Grammar Pop isn’t a universal app, so you’ll have to buy both versions at $1.99 a piece if you want to sharpen your skills on the move. 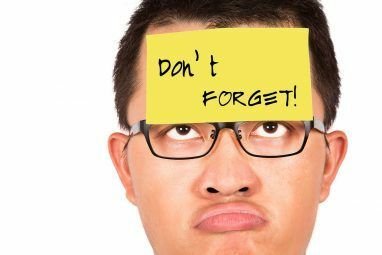 Even if you aren’t concerned about technology causing the devolution of language Why Typos Always Matter, Even Online & In Text Messages [Opinion] Why Typos Always Matter, Even Online & In Text Messages [Opinion] We all make mistakes from time to time. 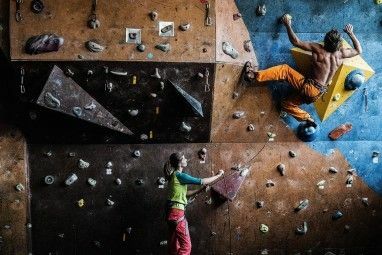 It's natural, a part of life, a learning curve which we use to better ourselves. Typos are no exception. They happen often, and if writing forms a... Read More , learning the parts of speech is a good way to become more familiar with the rules of English. You won’t get hours of complex, rewarding gameplay, but it’s definitely more interesting than reading a textbook. If you want more resources to improve your grammar, check out apps that can help improve your English 3 Free Android Apps That Can Help Improve Your English 3 Free Android Apps That Can Help Improve Your English Whether it's your first or second language, English can be tricky. Many of us use our smartphones mainly for reading and writing -- not to mention our tablets, of course. So what do you do... Read More . 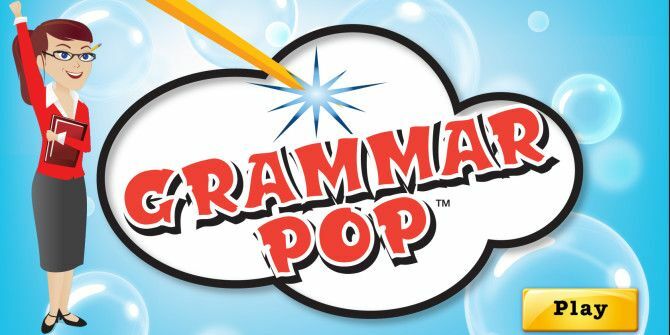 Have you tried Grammar Pop? What did you think? Do you have recommendations for other apps that teach the parts of speech? Explore more about: Education Technology, iPhone Game, Language Learning.